"I was lucky enough to have done three books with them. In fact, they were my lucky charm. In my first editorial job, at Random House in 1976, it was Write if You Get Work: The Best of Bob & Ray. When I moved to Atheneum, they came, too, for From Approximately Coast to Coast... It's the Bob and Ray Show. And when I came to Putnam in 1984, I made two deals my first week, the first with Charles Kuralt, the second on The New! Improved! 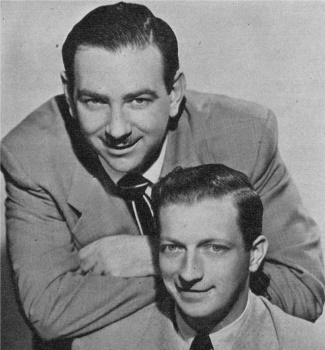 Bob & Ray Book. To judge who their fans were, here's who wrote the forewords: Kurt Vonnegut, Andy Rooney, Garrison Keillor. "We put these books together in their little office in the Graybar Building in New York City. No jokes--comedy was serious business, though sometimes they couldn't help it: a routine broke out spontaneously. Remarkably, everything they'd performed on the air, all those flights of fancy, worked just as beautifully on paper. I'm thumbing through their books now, laughing myself silly. But there's more to it than just laughter. "Vonnegut said it best in the first book's foreword: 'There is a refreshing and beautiful innocence in Bob and Ray's humor. Man is not evil, they seem to say. He is simply too hilariously stupid to survive.' And this I believe. Cheers.' "
Bustle recommended "9 date ideas for book-lover couples this Valentine's Day" and the "10 best first dates in literature." If things go really well this weekend, you might even want to check out Loverly's "15 book wedding ideas for literary lovers." On the other hand, "the 5 stages of realizing your lover is not a book lover" were chronicled by Lit Reactor. And Quirk Books warned of "literary lovers to avoid this Valentine's Day." Author Susie Steiner recommended the "top 10 books for the broken-hearted" in the Guardian. Offering "a literary twist to your Valentine's consumerism," the Guardian featured "the best romantic bookish gifts--in pictures." Holiday infographic: Unplag charted "famous love stories endings: the great spoiler for Valentine's Day"
For kids: "Spread the love: Valentine's Day printables and activities" were shared by Brightly. Carl Sandburg's monumental biography of Abraham Lincoln was originally published in six volumes. The first book, Abraham Lincoln: The Prairie Years (Harcourt, Brace & Co., 1926) was two volumes; the second, Abraham Lincoln: The War Years (Harcourt, Brace, 1939) was four volumes, and won the 1940 Pulitzer Prize for History. (Sandburg also won two Pulitzers for his poetry.) An abridged single volume, Abraham Lincoln: The Prairie Years and The War Years, came out in 1954 and was last reprinted by Mariner in 2002 ($26, 9780156027526). 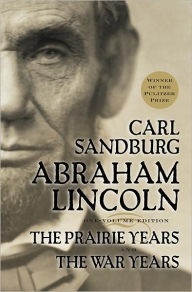 Sandburg's book also inspired a Pulitzer-winning play, Abe Lincoln in Illinois (1938), which was adapted into a film in 1940, and a six-part miniseries starring Hal Holbrook called Lincoln (1974-1976). 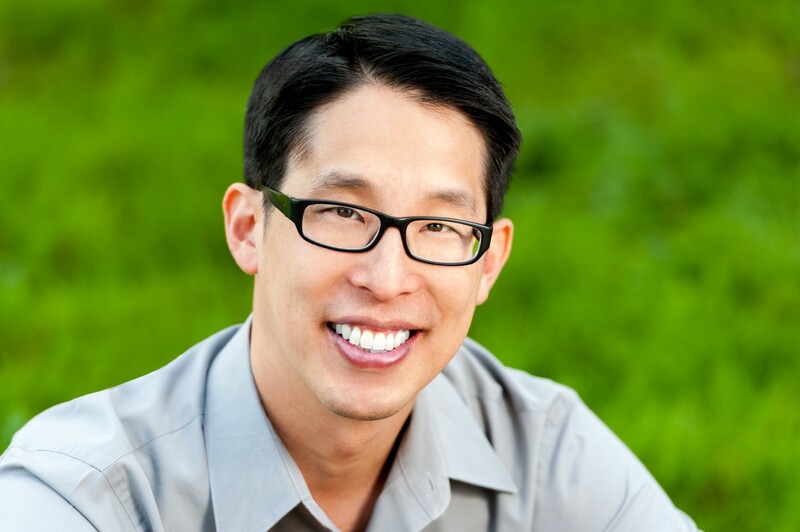 Artist and author Gene Luen Yang has a habit of breaking new ground. His debut graphic novel, American Born Chinese (First Second), was a National Book Award finalist in 2006 and the first graphic novel to win the Michael L. Printz Award. In 2013, Boxers and Saints (First Second), a "graphic diptych" about China's Boxer Rebellion, was an NBA finalist, too. Now, as of January 7, 2016, Yang is the first graphic novelist to represent the entire children's and young adult industry as the National Ambassador for Young People's Literature. Kate DiCamillo passed the torch to him with these words: "Gene Yang is a talented writer. He is a brilliant artist. His stories are thought-provoking, genre-bending, utterly original examinations of the human heart. In short, Gene Yang is a Renaissance man.... No one is better suited for bringing us all together." Here, for Shelf Awareness, Yang answers a few questions about the mighty rise of graphic novels and his exciting new role. You've really made a difference in how the world sees graphic novels. What is your perspective on the remarkable evolution of this format? It's astounding, really. I started in comics in the mid-'90s, and if you'd told me then that we'd be here today, I wouldn't have believed you. Graphic novels have earned Newbery Honors two years in a row! Cece Bell's El Deafo (Abrams) broke new ground last year, and this year Victoria Jamieson's Roller Girl (Dial) proved that we're here to stay. Multiple graphic novels have been nominated for the National Book Awards now, and not just in the Young People's Literature category. Even more importantly, librarians, teachers and parents are recognizing the value of graphic novels. They're being used in classrooms, and not just with reluctant readers. At every level, graphic novels are being accepted as a part of the literary landscape. Absolutely astounding. Do you think the upcoming generations, awash in screen time, are more visual in general? I'm not sure, to be honest. I haven't seen the data. But there's no denying that we are multimedia now. We're used to seeing documents that use multiple types of media, all sitting side by side, to convey information. The lines between the various forms of media are blurring. If someone told you he or she had never read a graphic novel, which titles would you recommend to the neophyte? For our youngest readers, I'd recommend Long Tail Kitty (Blue Apple) by Lark Pien. It's a beautiful collection of short stories about friends hanging out. Also, anything put out by Toon Books. For middle grade, I'd recommend anything by Raina Telgemeier. Just pick one. Zita the Spacegirl (First Second) by Ben Hatke is another wonderful choice. For high school kids, Blankets (IDW) by Craig Thompson. This One Summer (First Second) by Jillian Tamaki and Mariko Tamaki. And for adults, Maus by Art Spiegelman. Maus converted my wife into a graphic novel reader. 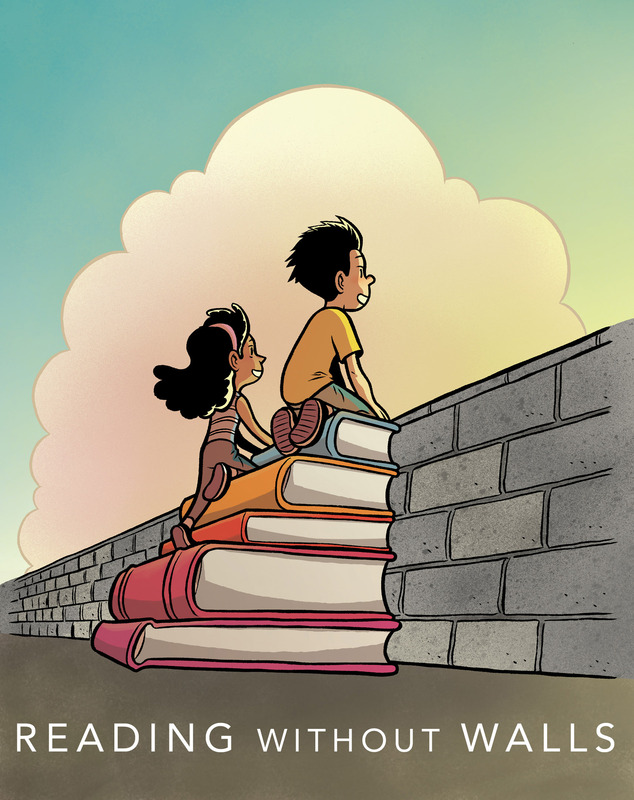 For the next two years, you'll be traveling the country talking to readers of all ages about your platform, "Reading Without Walls." How would you explain your mission? Reading Without Walls encourages kids to explore the world through books. We want to challenge kids to read outside their comfort zones in three very specific ways. First, read a book about someone who doesn't look like you or live like you. Second, read a book about a topic that you find intimidating. Third, read a book in a format you've never tried before: a graphic novel, a prose novel, a novel in verse or a hybrid novel. You taught high school for 17 years--do you feel that this new appointment puts you back in the classroom in a sense? Absolutely. I'm really excited about this. I left my teaching gig last June, and it was rough. It felt like I was breaking up with someone. I lost sleep. I couldn't eat. I missed my classroom. In a way, this appointment fills that empty space. It gives me a classroom of sorts. Do you think you'll have time to create more new books while you're out on the road? What are you working on now? Well, I travel a decent amount already. I don't anticipate traveling more. My events will just be different. Instead of talking exclusively about my books, I'll get to talk about BOOKS. I've already learned to write on the plane and in hotel rooms. Right now, I'm writing more Superman and more Avatar: The Last Airbender. I'm working on the next volumes of Secret Coders (First Second). I'm also working on my next big book, which I'll be both writing and drawing. It will be about basketball. What do your kids think about all this? They think it's nice. I have to tell you, it's very hard to impress kids that you see on a daily basis. It's easier for me to impress my kids' friends. They all think the ambassadorship is awesome. My own kids just think it's nice. In a Shelf Awareness Book Brahmin in 2014, when asked to list your top five authors, you replied, "Is it okay that they're mostly cartoonists? Osamu Tezuka, Art Spiegelman, Lynda Barry, Lloyd Alexander, Shusaku Endo." Anyone you've added to your top author list since then? Oh, for sure. I have a deep admiration for Gary Schmidt, both as a person and as an author. I just finished Laura Ruby's Printz-winning Bone Gap (Balzer+Bray/HarperCollins) and it was astounding. G. Willow Wilson is schooling the world on how to write YA superheroes right now. I also finished Plutoby Naoki Urasawa. He will. Blow. Your. Mind. Anything else you'd like to tell Shelf readers? Books are awesome and so are you. Yeong-hye was an ordinary woman--a trait her husband appreciated--until she made the shocking decision to become a vegetarian. In South Korea, this is unusual and socially scandalous; her family reacts by railing and trying to force her to eat meat. "I had a dream," is all she says in explanation. Han Kang's novel The Vegetarian recounts Yeong-hye's choice and its consequences. Three sections tell the story from different perspectives: Yeong-hye's disgusted and frustrated husband; her brother-in-law, a video artist whose work and every thought become fixated on Yeong-hye and her "vegetal" nature; and finally, her older sister, in the late stages of the extreme situation brought about by a seemingly simple decision. Their different relationships to the protagonist reveal more of her personality, but they cannot understand her. Vegetarianism is only one stage in Yeong-hye's extreme plan for metamorphosis, as it turns out. As her story unfolds, this single decision brings increasing disgrace, violence and subversion, and her limited control over her own life diminishes. Discover: A South Korean woman's decision to become a vegetarian has surprising and memorable consequences. Told from the perspective of 13-year-old Chino, Lost Words is a tribute to language and its ability to transcend the differences that sometimes cut people off from one another. At the same time, it's tragic and hopeful, inspiring and heartbreaking. Chino is the son of Elvira, doorwoman at the working-class apartment complex Via Icaro 15 in Milan, Italy. Elvira has been saving up to purchase a one-bedroom unit in her building. She views this as her opportunity to rise in status, to be an equal with the people she serves and not-so-silently despises. The building's tenants bicker, gossip and behave in petty ways toward one another, behavior that their children are imitating. Chino quietly observes this hostile environment, until Amelia Lynd takes up residence on the fifth floor. While the rest of the building views Amelia as an oddball because she politely refuses their offers of hospitality, Chino discovers an amazing new world through this eccentric, elderly British woman who daily invites him to tea and introduces him to language and literature. The cramped little corner Chino has lived in all his life expands exponentially through his interactions with Amelia, until she abruptly cuts off their regular lessons, leaving Chino feeling abandoned and confused. Discover: With literature and language, a new resident opens up the world to a boy in a dreary, constrained Italian apartment complex. Amina Gautier (At-Risk) is the consummate short story writer. While not expressly a collection of "linked" stories, The Loss of All Lost Things collects pieces that focus on characters whose lives have been upended in some way by loss. They lose their spouses and children, their confidence, their dreams, their careers. In the title story, a couple's oldest son has been abducted and his mother sits alone in his bedroom where "she is free to count her [life's] losses.... Each loss is a reprimand, a reminder of her helplessness; each loss is a disorienting thing... its own little death." An Afro-Puerto Rican and native New Yorker with degrees from Stanford and the University of Pennsylvania, Gautier fills her stories with multi-racial academics, parents, single moms, grad students, administrators and small children. Whether navigating life in big cities or small towns (including a prep school in Massachusetts "where the towns were named for fields: Northfield, Greenfield, Springfield, Deerfield"), they must struggle to overcome their losses. Silence and brevity is often the language of couples who can't speak of their rift, like the academic husband in "Resident Lover" who reacts to a written goodbye from his wife: "She was declaring her separation from him.... She wanted nothing from him. She did not love him anymore. He didn't write back." Quiet, subtle, observant--the stories of The Loss of All Lost Things are pictures of sadness that enrich an understanding of separation and despair. One after another they do what short fiction does so well: capture a character, scene or place that together are much bigger than they seem. --Bruce Jacobs, founding partner, Watermark Books & Cafe, Wichita, Kan. Discover: Amina Gautier's third collection of stories focuses on the debilitating effects of separation and loss. In 1912, a young black housemaid named Virginia Christian was arrested, accused of the brutal murder of her white employer. Ida Belote's body was found in the back corner of her home, beaten and in a pool of blood, a rag forced down her throat, presumably to muffle screams. Narrator Charlie Mears, a young reporter for the Hampton Times-Herald, is the only one who seems interested in the girl's side of the story. He visits her in jail, examines the crime scene and speaks with eyewitnesses as they wait for the trial to begin. The miscarriage of justice is rushed by local authorities, who want to avoid a race riot and possible lynching. In this short time, tensions run high as Charlie does his best to document Virgie's story before the verdict is handed down. What follows is a tragic episode nearly forgotten to history. Then Virgie is convicted in just 30 minutes by an all-white, all-male jury and sentenced to die in the electric chair. To date, she is the only adolescent female ever executed by the state of Virginia. Discover: This powerful work of historical fiction follows the trial of an adolescent black housemaid for the murder of her white employer in the Jim Crow South. The hub of Libby Cudmore's debut hipster crime novel, The Big Rewind (wink to Raymond Chandler's The Big Sleep), is a mixtape misdelivered to her protagonist, Jett Bennett. Jett is a temp proofreader for a private investigator and a freelance music reviewer living in a rent-stabilized Brooklyn apartment "just east of Williamsburg and, judging by how people dressed, slightly beyond Thunderdome." When she attempts to give the tape to its rightful recipient, she finds her neighbor KitKat bludgeoned to death by a rolling pin in her kitchen (another wink, this time to Clue). In her "decent brunch outfit--a black pleated cheerleader skirt, vintage plaid double-breasted jacket, fourteen-eyelet Doc Martens with rose-print knee socks poking out like I was an extra from Clueless," Jett sets out to knock on doors and buttonhole KitKat's friends on a music-laden journey to find the killer. Working through the mixtape's "soundtrack for mutually broken hearts," Jett narrows her search to KitKat's secret married lover and former professor, whom Jett meets in a bar like "a Tom Waits song come to life; cramped and dimly lit with rickety tables, dirty mirrors, a pull-knob cigarette machine, and a jukebox with Elvis Costello and the Smiths." Jett doesn't put the clues together until the end, but along the way, The Big Rewind is an entertaining puzzler played to the beat of musical youth. As one character reflects, "I'm so old I remember when Green Day was a punk band and not a Broadway show." --Bruce Jacobs, founding partner, Watermark Books & Cafe, Wichita, Kan. Discover: As if Raymond Chandler wandered into Empire Records, Libby Cudmore's first novel is a hipster mashup of detective noir and rock history. It can be difficult enough to raise a "regular" kid, but how does one deal with an eccentric genius child? In her first novel, Julia Claiborne Johnson tackles that question with lighthearted humor and a taste for old movies. The Frank of Be Frank with Me is the nine-year-old son of recluse novelist M.M. "Mimi" Banning, who hit National Book Award and Pulitzer home runs with her first and only book. When her fortune disappears in a crooked investment scheme, she is forced to churn out a new book for a hefty advance. Like Harper Lee's Go Set a Watchman, Mimi's second novel will be a sure-thing bestseller and a lifeline for her editor, whose fate is uncertain after his publisher's latest merger. But Mimi needs someone to take care of Frank while she bangs her typewriter, and the publisher wants eyes-on-site to keep the manuscript moving. Enter young editorial assistant Alice Whitley, a New York City transplant from Nebraska, who relishes the trip to Los Angeles to meet Mimi and has no fears about childcare for a nine-year-old. Until she meets Frank, who first appears "dressed in a tattered tailcoat and morning pants accessorized with bare feet and a grubby face... like some fictional refugee from the pages of Oliver Twist." Frank quotes lines from classic movies and peppers his conversation with 50-cent vocabulary words (as he tells Alice, "I read the dictionary for pleasure as it's always easy to find a stopping place"). Narrator Alice, with her farm-girl commonsense, holds this bizarre, oh-so-L.A. household together, but it is Frank who steals Johnson's show. --Bruce Jacobs, founding partner, Watermark Books & Cafe, Wichita, Kan. Discover: Filled with old movie lore and a cast of eccentrics, Johnson's first novel is a funny, sensitive story of the vicissitudes of raising a quirky genius son. Murder of a Lady, a Dr. Eustace Hailey mystery from Anthony Wynne, has been out of print since 1931. Poisoned Pen's reprint now makes this archetypal locked-room mystery from an excellent era of British crime fiction available to a new generation of readers. Mary Gregor, elderly sister of the Laird of Duchlan, is found dead in her room. Her bedroom door was locked, and her windows were latched shut. There is no sign of a weapon, although Mary was clearly stabbed with something sharp. The only clue is a tiny herring scale next to her body. The confident Inspector Dundas is called in, but becomes quickly stymied. Several more murders take place--and each time the scale of a herring is found. Superstitious locals begin to whisper of murderous fish people slithering up from the water during the night. As hysteria mounts on the Duchlan estate, Dr. Eustace Hailey, a local amateur sleuth, steps in to try his hand at solving the crime. Instead of focusing on the impossibility of the locked windows and door (as Inspector Dundas has), he turns his attention to the psychological makeup of the residents of Duchlan, and discovers that Mary Gregor was hiding a dark secret. Discover: Murder of a Lady is an entertaining locked-room Scottish mystery that has been out of print for 85 years. Sarah Black named her first business Companio (which means "with whom one eats bread"), and she understands that many novice bakers find the alchemy of water, flour, yeast and salt intimidating. Black believes the hardest part is just getting started, because once "the hands are in the dough... intuition kicks in and new insights are gained." Her philosophy: "Use your hands, and your knowledge, to start with something simple and build it into something more complex as you develop confidence and skill." One Dough begins with a simple recipe for white flour bread and then guides the reader with sensory suggestions for what to look for along the way. Then she recommends specific tools (for example, a baking sheet is better for beginners than a baking stone), ingredients (how warm the water should be, how types of flour and salt affect the process and product), and processes (the purpose of kneading, resting and fermenting). Throughout, she shares tips for shaping breads and measuring ingredients by volume. Discover: Baker Sarah Black shares how "intimate knowledge of just one foundation dough... [can] evolve into classic flavors, shapes, and recipes." In her foreword, Facebook COO Sheryl Sandberg proclaims that Adam Grant's Originals will "not only change the way you see the world... [but also] change the way you live your life." 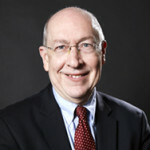 Grant (Give and Take), an organizational psychologist and professor at Wharton, believes everyone can become more creative, learn when to trust instinct and when to turn to others, and present ideas more convincingly--as individuals, employees, entrepreneurs, managers and parents. Grant offers surprising findings--like why entrepreneurs are more risk-adverse than most, why Chrome and Firefox users are less likely to quit their jobs, why child prodigies and teacher's pets rarely change the world, why later-born children are much more likely to be innovative, why pioneers are often less successful than settlers, and how emphasizing nouns over verbs can help parents encourage originality in children. Discover: Psychologist Adam Grant believes that everyone can be more creative--and offers practical strategies for "becoming original." Trekking more than 4,000 miles entirely on foot through six African countries for a period of nine months might sound like some kind of personal hell for most people, but for Levison Wood, walking the length of the Nile was a lifelong dream and epic adventure. Spurred by tales of Victorian adventurers, Wood's Walking the Nile blends personal reflections of his day-to-day existence out on the trail with historical, political and cultural details of the regions he hiked. Discover: One man's determination to fulfill a dream despite the costs is beautifully relayed in this engaging and informative memoir set in Africa. Spring doesn't get any springier than three pink-eared kittens staring up at blossoming branches, a robin and bee--all artfully composed on the blue-sky cover of When Spring Comes, by Newbery Honor author Kevin Henkes (Olive's Ocean; The Year of Billy Miller) and illustrator Laura Dronzek (Birds; White Is for Blueberry; Moonlight). Henkes, who won a 2016 Caldecott Honor for Waiting, has anticipation on his mind these days. Here, young readers are assured that, if they just wait, winter's bleakness will leap to life. Two leafless trees soldier on in the snow, kept company by two red cardinals: "Before Spring comes,/ the trees look like/ black sticks against the sky." "But if you wait,/ Spring will bring/ leaves and blossoms." Other wonders surface "if you wait." A snowman melts in a step-by-step progression of spot illustrations; grass turns from brown to green, as witnessed by a mouse; "an egg will become a bird." As is only natural, a tiny bit of rainy-season exasperation creeps into the soothing narrator's voice: "Spring comes with sun/ and it comes with rain./ And more rain/ and more rain." Fret not, summer's just around the corner. Discover: Newbery Honor author Kevin Henkes and illustrator Laura Dronzek team up in this lush picture book that celebrates the vibrant glory of spring, "if you wait." Lula Mae wants a puppy, but Mama says, "Dog's just another mouth to feed. These are hard times, Lula Mae. You've got to make do." Baby Berry on Mama's hip echoes, unhelpfully, "Make do." Lula Mae wants a dog so desperately, she starts eyeing the family chickens scrabbling about the house. One is pecking at dirt, some are preening, but the one she wants, white with black spots, is strutting around "like it owned the place": " 'Now, that's my kind of dog!' said Lulu Mae." She names it Pookie. The chicken isn't having any of it, not when the girl clips her red bow to its comb and not when she tries to hold it: "BAWK! BAWK! BAWK!" Papa's dismayed by his daughter's tomfoolery and Mama just keeps saying, "Call it anything you like, but it's not coming in my house." But when everyone's waiting for Baby Berry to echo "My house," there is only silence. Where is Baby Berry!? Fortunately Pookie saves the day and finds him in the chicken coop, which really is something a dog would do. And, lo and behold, guess who gets to come in the house after all. Discover: A lively tale about a girl who wants a puppy so badly that she pretends one of the family chickens is a dog. When 12-year-old Bee can't stand another minute of her unkind foster parents, she escapes. On the run in Aradyn, out of her mind with hunger, the "skinny, raggedy child" steals a sweet roll from a bakery in the town of Zeewal, and with that one desperate act, her life is forever changed. The baker, Master Bouts, is not happy with her theft, but he quickly sizes up Bee. She's charmingly nervy, and the softhearted baker is in dire need of an apprentice. The two get along famously as they bake treats--but nothing with pecans or lemon from the ancient cookbooks, because the kingdom hasn't had any trees since they were removed to plant lucrative tulip fields. When Bee is asked to deliver pastries to the palace of the Mage, the greedy tulip tyrant himself, she discovers he has sinister plans for his lonely charge, Princess Anika. Bee decides to help her run away. Fortunately, Bee has a curious power: she can cook her own state of mind into her baked goods, and is thereby able to secure allies or foil foes, like the palace guards, in inventive, comical ways indeed. Betrayal by bun! A swashbuckling adventure ensues. Discover: When a kindly baker takes in the orphaned Bee, he discovers she has a strange magic: her emotions are passed on to those who eat her delicious confections.